The Center for Parent Information & Resources places “user-centered processes” at its core. Because the Parent Training Information Centers and the Community Parent Resource Centers are the main focus of their work. The Center for Parent Information & Resources is designed to gather Parent Center perspectives at each step along the way. MyChildWithoutLimits.org is an authoritative early intervention resource for families of young children ages 0-5 with developmental delays or disabilities, and professionals looking for a single, trusted, aggregate source of information that relates to their needs and interests. All medical information is reviewed by the My Child Without Limits Medical Advisory Board, a panel composed of doctors in the fields of developmental disability and delay. The site includes a national Resource Locator where visitors can find local service providers, community organizations and government agencies. PBS Parents provides information about child development from birth through the early school years. The Children with Disabilities page covers topics such as inclusive education, assistive technology, and advocating for your child. 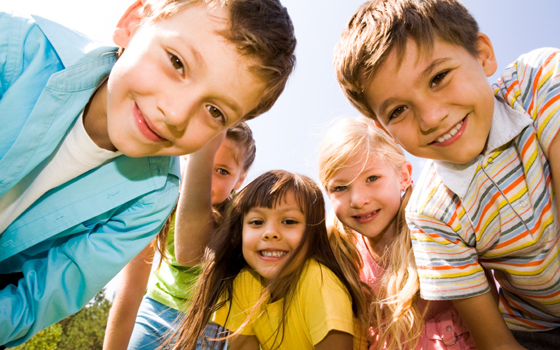 KidsHealth is the #1 most-visited website for children’s health and development. Learn information about what to expect during the different stages of development in your child’s life. Talking is Teaching is a campaign that is working to help parents understand that they have the power to boost their children’s vocabulary through simple actions every day – like talking about things seen on a walk, or singing songs together during bathtime. Using social media, books, videos and information from expert partners- Talking is Teaching shares fun and easy ways that parents can improve their babies’ learning. Talking is Teaching has partnered with Text4baby and Sesame Street on a free text-to-parents program to deliver tips, parenting videos and other resources every other week on the importance of talking, reading and singing to young children! HealthyChildren was developed by the American Academy of Pediatrics (AAP). The site provides parents with programs and activities, publications, policies and guidelines, and other child health & safety resources. The CDC offers information to parents on diseases & conditions, safety in the home & community, raising healthy children, reaching milestones, and engaging in school health. This site provides a variety of resources- including information from licensed healthcare professionals & researchers, along with multiple parent videos that cover numerous topics. This is a national nonprofit organization that provides parents, professionals and policymakers the knowledge and the know-how to nurture early development. ZERO TO THREE’s mission is to ensure that all babies and toddlers have a strong start in life. ZERO TO THREE plays a critical leadership role in promoting understanding around key issues affecting young children and their families- including child care, infant mental health, early language and literacy development, early intervention and the impact of culture on early childhood development. Too Small to Fail aims to help parents and other individuals take meaningful actions to improve the health and well-being of children ages zero to five. They seek to empower caregivers by providing beneficial resources that help promote children’s brain development, early learning and early health. When a child has experienced one or more traumatic events, and has reactions that continue to affect his or her daily life long after the events have ended, we call it Child Traumatic Stress. This stress can affect a child in many different ways and can even cause lifelong problems. Fortunately, even when children experience a traumatic event, they don’t always develop traumatic stress. As a parent or caregiver, you can play an important role in helping your children and teenagers recover from traumatic events.